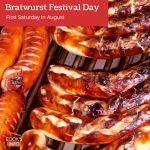 Sheboygan, Wisconsin (USA), on Lake Michigan holds a Bratwurst Festival (Brat Days) over the space of two days in August. 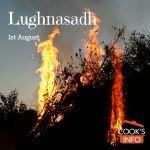 It starts on the first Saturday in August. 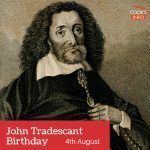 On this day in 1608, John Tradescant the younger was born in England. He and his father introduced many food plants we now take for granted. 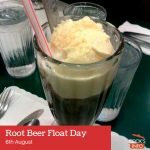 A Root Beer Float is a classic North American summer drink. 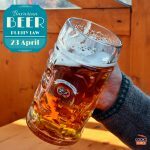 It's a big, thick frosty mug of Root Beer with a big, creamy head of suds on it and ice cream in it. 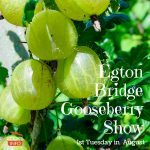 The Egton Bridge Gooseberry Show is held the first Tuesday of every August (between 1st and 7th August) at Egton Bridge, North Yorkshire, England. The show is both an exhibition and a contest. In this day and age, thanks to exports and cargo jets criss-crossing the globe, it's possible to get raspberries at any time of year. 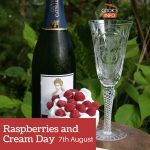 But around this time in the northern hemisphere, raspberry season is at its peak. When's the last time you had a S'more? 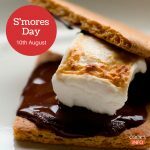 The 10th of August is the day to celebrate the gooey summer treat, consisting of melted marshmallow and chocolate on graham wafer. 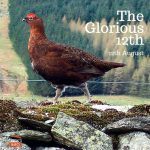 On this day in August, grouse season starts in England and Scotland. The date has been set in law since the Game Act of 1831. 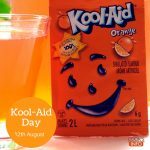 The 12th of August is Kool Aid Day. 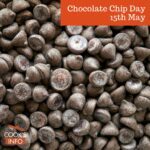 It has been observed since at least 1994, when it was celebrated by the Pastime Car Show in Hastings, Nebraska, where Kool-Aid was invented in 1927. 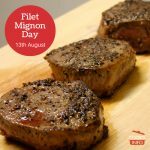 The 13th of August is Filet Mignon Day; a day to gnosh into one of the most swank cuts of beef around. 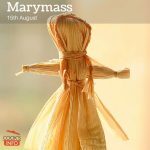 The 15th of August is Marymass in Scotland. 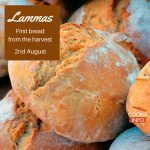 It is a festival marking the start of the harvest. 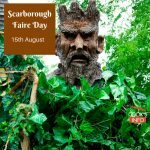 Parsley, sage, rosemary and thyme.... Scarborough Faire in England was the real deal, and not just a song. 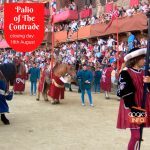 The 16th of August is the last day of the horse racing contests held in Siena, Italy. Neighbourhoods of the city compete against each other. 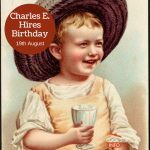 The 19th of August is the birthday of Charles E. Hires, the root beer king. Treat yourself to a soft ice cream cone today. 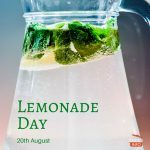 The 20th of August is Lemonade Day. Some people can use today as an activity day for children; the rest of us can use it as a day to catch a few hours sitting in the shade and sipping lemonade -- even if it is vodka-spiked for some people. 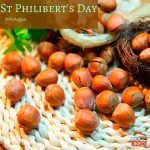 Today, 20th August, is the feast day for St Philbert. It also marks the start of the harvest for hazelnuts in England (particularly Kent) . 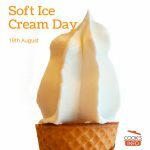 If you missed Soft Ice Cream Day two days ago, you have another excuse today to have ice cream. 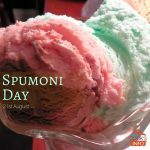 It's Spumoni Day, all day today! 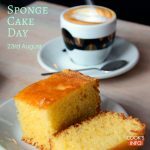 What's a Sponge Cake?And what makes it spongey, anyway? Find out today! 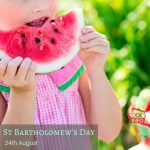 Saint Bartholomew's Day is traditionally celebrated by eating watermelon. Saint Bartholomew is also the patron saint of Mead. 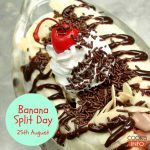 Go on, treat yourself on Banana Split Day. After all, how many times in your life do you have a banana split? Good heavens, is that that time of year again already? 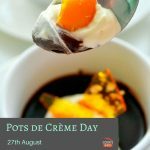 The 27th of August, National Pots de Crème Day, has crept up on us once more!